We are a little confused if you also get free shipping on other orders. Here is what their site says: “Receive members only Priority Shipping & Handling on our entire inventory.” So is that free shipping or just faster shipping for members? We’ll see if they can clear that up for us. The big thing to focus on here is the fact that you get to pick your 5 cigar sampler that you get each month. You can visit our sampler section and choose any sampler from these pages (except a few that are unavailable). Send the name of that sampler to customer service before the 25th of each month and we will ship that sampler. If we don’t hear from you by the 25th we will ship the sampler of the month selected by our panel of experts. We counted at least 7 samplers that sell for $29 or more. There are about 250 samplers to pick from. The neat thing about this program is that you can pick the ones that interest you the most. We aren’t big fans of having to commit to a minimum of 6 months of the club, however, since it is so unique and offers quite a few perks – it may offset the commitment level. For anyone expecting to place more orders during the month, it seems like you’ll be getting good discounts and better shipping. We will definitely be looking further into this club. Black Friday Discounts on Cigar Clubs! Cigar Club as a Christmas Gift? Travel Herf-a-Dor + 8 Great Cigars = $15 Hard To Beat! We're cigar lovers. Not the snobby kind though. We're simple and easy to please. We're always on the lookout for a great deal on a great cigar. That's what got us interested in cigar clubs. We found tons of clubs but no easy way to compare them. So we created this site. Not only will you get honest Cigar of the Month Club reviews, but we'll pass along the best cigar deals that we find too! We only post our own opinion, you won't read any paid endorsements on this site. We're honest about our experience. 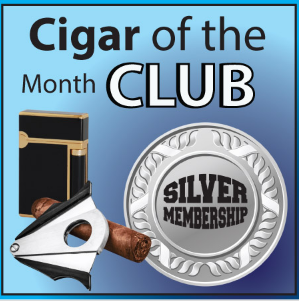 We want to help you find the best cigar of the month club for you!